The Iran Nuclear Deal in Jeopardy: End of May Deadline for Saving the JCPOA? Washington has been waging political, propaganda, and economic war on Iran for nearly 40 years – regime change the goal, regaining a subservient client state, eliminating Israel’s main regional rival, a nonbelligerent one threatening no one left unexplained. 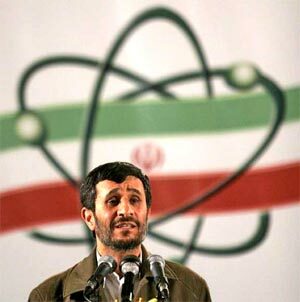 Iran seek normal relations with all countries, wanting its sovereign independence respected, protected and preserved. It threatens no other nations, not Israel, America or any others. History shows it never engaged in conflict with another country except in justifiable self-defense – during US orchestrated, Saddam Hussein aggression on the Islamic Republic the only time. Tehran displayed good faith in agreeing to curtail its legitimate non-military nuclear program – its goal to have unjustifiable sanctions removed, to have normalized relations with the world community, what all nations deserve. US/Israeli claims about Iranian nuclear weapons ambitions, and Iranian “aggression” as “the world’s leading state sponsor of terrorism” are bald-faced lies – demanding world community denunciation in the strongest terms not forthcoming in a clearly acceptable form. Saving the JCPOA nuclear deal hangs by a thread because of Trump’s unconscionable pullout, along with US pressure on other countries to go along with what’s clearly unacceptable and illegal. On May 25, a JCPOA commission met in Vienna for the 9th time – attended by Iranian, EU, Russian, and Chinese officials, along with IAEA chief Yukiya Amano. According to Iran’s Deputy Foreign Minster for Political Affairs Seyed Abbas Araghchi, JCPOA signatories (minus America) want the agreement preserved. Talks continue at the ministerial and expert levels. Iran called on Britain, France and Germany to provide firmly guaranteed legal and political commitments to assure Tehran receives JCPOA benefits promised under its terms. It’s up to the Joint Commission, responsible for overseeing implementation of the agreement. Russia and China are firmly on board, wanting benefits afforded Iran preserved and protected. Where EU countries stand is uncertain, saying they want the deal preserved not good enough without firm guarantees not forthcoming so far. Lifting and not reimposing nuclear-related sanctions, permitting normalized economic and trade relations with Iran, is essential to preserve the JCPOA. export credits, insurance, and related financial transactions – related to cooperative economic, trade and investment activities, along with related issues. “(W)e are not confident…We expect (a) package to be given to us by the end of May…(W)e haven’t seen Plan B yet. Plan B has just started to be figured out” with no assurance it’ll be forthcoming in acceptable form. “(w)e have not come to a decision whether or not to remain in the” JCPOA. It depends on “European countries…tell(ing) us how they would be able to secure Iran’s interests in the” agreement without US participation. History shows EU countries most always go along with US policies – even when harming their own interests. Will this time be different? It’s hard being optimistic based on often Brussels yields to US demands. EU failure to guarantee Iranian benefits it justifiably expects and deserves from the JCPOA may doom the agreement. The fullness of time will tell one way or the other.